The great Indian wedding industry revolves majorly around The Great Indian Bride. She is, after all, going to be the star attraction and the cynosure of all the attention. Right from her outfits to her eyebrows, everything has to be just perfect on the big day. In the entire hullabaloo, at times it’s quite difficult for her to keep a check on personal grooming and care. As the wedding season is approaching, we decided to create a bridal checklist for the brides-to-be, to include all the beauty treatments that she must consider in her wedding preparations. Needless to say, self-care comes first to achieve that perfect look on your D-Day. In the lead up to your wedding day, make sure you take a healthy diet, sleep well, drink at least eight glasses of water, consume fresh fruits and vegetables, work out and do everything you can to look and feel good from inside. Every bride has a different skin type and accordingly she should start taking facial sessions to achieve that enviable glow on her big day. Facials help in deep cleansing, removal of dead cells along with blackheads and whiteheads, and better blood circulation, to make your skin bright, firm and soft. In case you have some special skin concerns, consult a skin specialist in Delhi at least a few months in advance, so that you get desirable results on time. Whatever be the hair removal technique – waxing, laser or shaving, make sure to follow it up regularly to stay fuzz-free. Keep your eyebrows in shape. Take care of unwanted facial hair by taking timely measures. Sudden hair removal of any part of the body can give you small cuts or rashes. Most dermatologists in Delhi provide laser hair removal services. 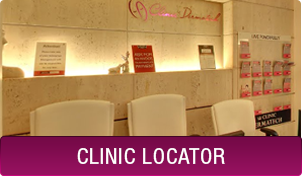 Clinic Dermatech is a pioneer in professional hair and skin care services that can be customised as per your requirements. Take out some me-time from the hectic wedding schedule and pamper yourself. It’s supposed to be your day and if you are not relaxed and pampered, then the whole wedding look can easily lose its chutzpah. Book a spa appointment and relax your senses. You can also try some DIY massages at home to see just as effective results. Mix coconut milk with papaya pulp and banana, and massage it all over your body. It will leave the skin feeling silky smooth. Post-spa, if you want to exfoliate as well, add sugar granules to this mixture mentioned above and watch your skin glow! 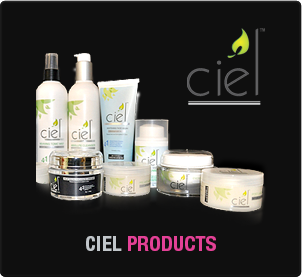 For cellulite, mix coffee grains with a moisturiser and massage it over cellulite-prone areas. You will see great results within weeks! The importance of good-looking hand and feet for a bride is way beyond words. She has ceremonies to perform and photographers dedicate special pictures exclusively focusing on them. Regular manicure and pedicure sessions at an interval of 15 days will work wonders, so that the bride can proudly show off her henna and nail art on different ceremonies. Most brides like to go in for hair straightening or smoothening treatments right before the wedding as straight, silky hair is easier to style on various wedding occasions. 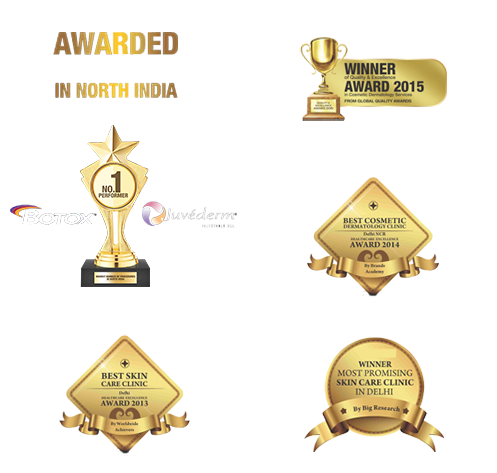 Keratin treatments are extremely popular, besides various hair spas. You can also colour your hair and flaunt those tresses in style on the wedding day. For that million dollar wedding day smile that will definitely be in the limelight, make sure your teeth are dazzling white. Make sure to pay your dentist a few visits, besides consulting the skin specialist In Delhi, the trend of taking help from specialists is catching up fast as more and more brides aren’t shying away from even cosmetic procedures to look their best on the D-Day. Sometimes, would-be brides opt for various corrective cosmetic surgeries, such as scar removal, tattoo removal, eyelid surgery, and vaginal rejuvenation, etc. prior to the wedding. One must get them done by qualified surgeons and specialised clinics, such as Clinic Dermatech to ensure a smooth, hassle-free experience. Last but not the least, brides must take out 15 minutes every day to relax and meditate. You will feel calmer and serene, which will definitely make the wedding chaos look seamless. In fact, the inner calm will reflect on your face and of course, your photographs. Follow this checklist for your pre-wedding and you should be sorted on your big day! 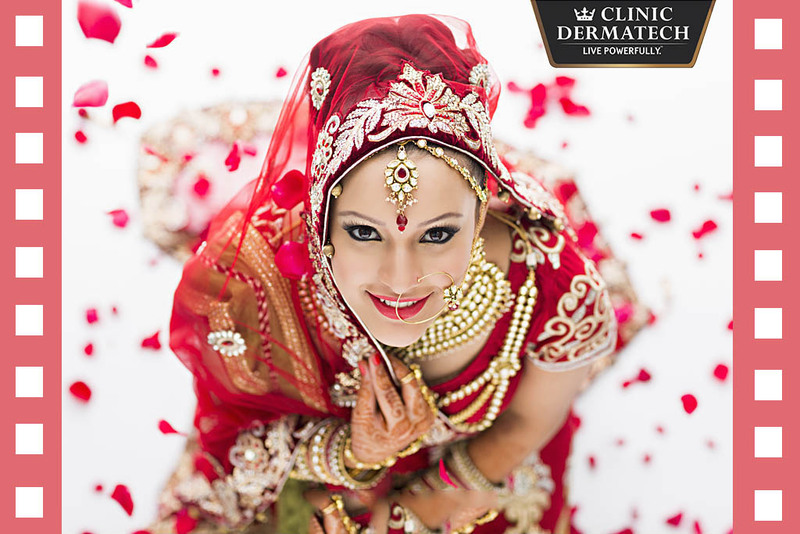 Clinic Dermatech offers various aesthetic and beauty treatments for brides-to-be to ensure that you look the most fantastic version of yourself on your wedding day. We have a qualified team of skin specialists in Delhi who can prescribe tailor-made solutions for you as per your needs.